Try a Green Smoothie With Peaches! Have you ever tried a sweet peach green smoothie? If not, then you are certainly missing out on something special! Peaches make an excellent base for a green smoothie because of the superior texture they provide. 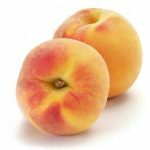 Peaches also add a delicate sweet flavor to your green smoothie that I guarantee you will enjoy! 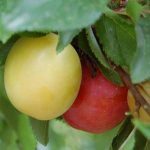 According to a study from Texas A&M, stone fruit, like peaches, plums and nectarines have been shown to ward off obesity-related diseases such as diabetes, metabolic syndrome and cardiovascular disease. The fiber, potassium, vitamin C and choline content in peaches all support heart health. 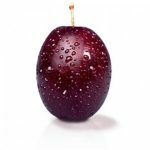 An increase in potassium intake along with a decrease in sodium intake, is the most important dietary change that a person can make to reduce their risk of cardiovascular disease! So on top of peaches making any smoothie taste great, they are also packed with healthy and nutritional goodness. In the instance that you do not have peaches on hand, I like to use Nectarines as a close substitute. 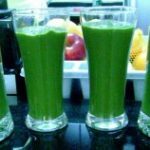 Try this green smoothie with peaches in it, I can guarantee you’ll enjoy the flavor and the boost of energy it is sure you give you. 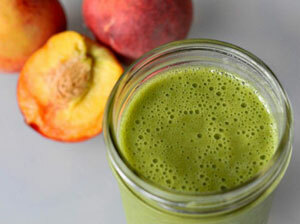 Try a Green Smoothie with Peaches today! 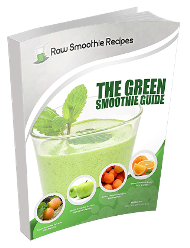 Add each one of the ingredients of this green smoothie to your blender one at a time and blended together until smooth. All of the fruits in this Sweet Peach Green Smoothie possess a delicate flavor that blends well together. You never know, this sweet peach green smoothie may just become one of your new personal favorites. A single cup of this green smoothie contains only 219 calories, which makes a great, low calorie mid-morning or afternoon snack. 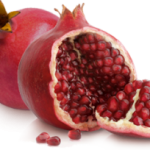 It can even be used for a meal replacement if you are on a diet. This one recipe makes 2, 12 ounce cups of smoothie. Try these Sweet Peach Green Smoothie out for yourself and let us know what you think! 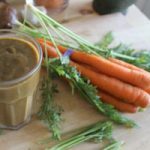 Are all your smoothies 100% plant-based?